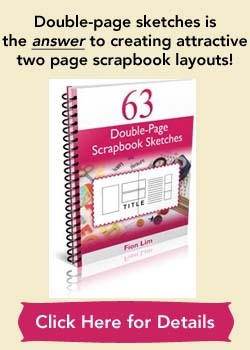 This scrapbooking idea is not a new one. 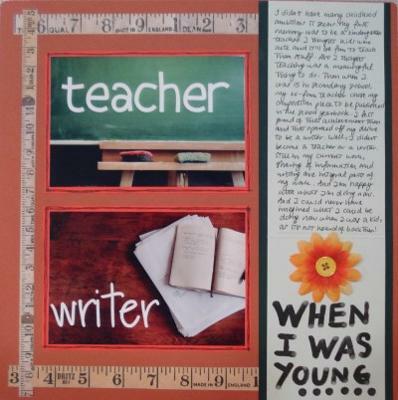 It’s an idea that most of us were asked to write about when we were young students… our childhood ambitions. Can you still remember what you used to dream of becoming when you grew up? Did you really go on to fulfill your childhood ambition, or have you landed in a job or career entirely diverse from your dreams as a kid? For me, I don’t remember having many childhood ambitions or a particularly long-standing one. From my memories, my first childhood ambition was to be a teacher. Not just any teacher but a kindergarten teacher. I thought kids were cute and it’ll be fun teaching them stuff. Well, I lost interest in becoming one soon after. Then during my teen years, I dreamed of becoming a writer. This desire was ignited when one of my ex-teachers selected one of my essays to be published in the school yearbook. From then onwards, I harbored the wish to be a writer someday. The thought of being a journalist did cross my mind back then but was dropped as I didn’t believe I was fluent enough. Trace right back to your first childhood ambition if you could. List down all your ambitions as a kid. It’ll be such a fun page to review in the future! Enjoy! Supplies used: Brown cardstock – Bazzill Basics; Orange and green cardstocks – The Paper Company; Measuring tape patterned paper – Unknown; Silk flowers, thread, button – stash; Black Marker – Zig Memory System “Dotta-Riffic”; Black pen – Zig Memory System “Millennium”; Corner rounder; Sketch: No. 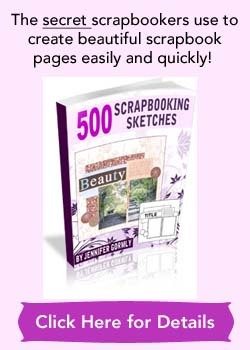 259 from 500 Scrapbooking Sketches.